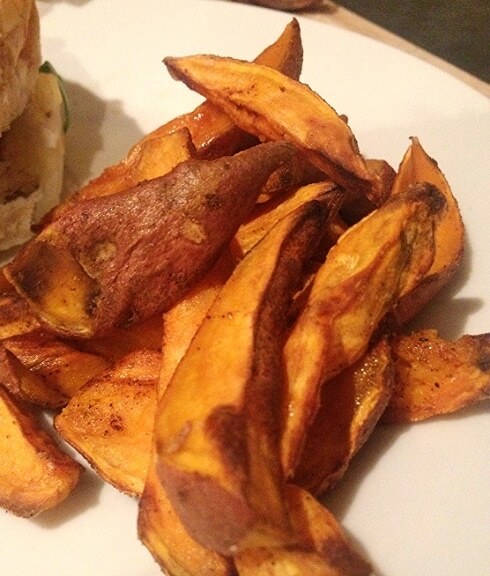 The good eats are on a roll this week, let’s take it on through to the weekend! 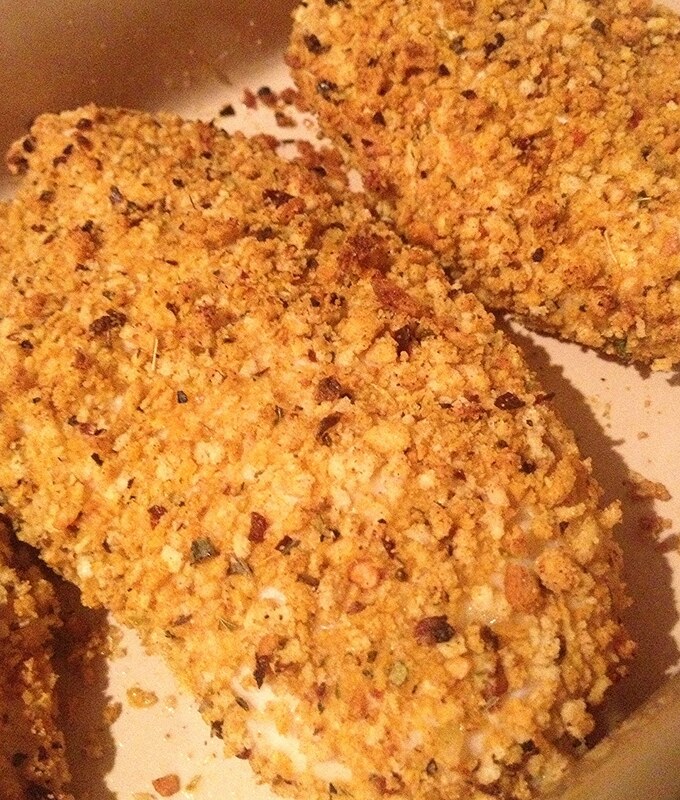 Tonight was another sure winner in the form of big, fat, juicy breasts (oh matron!) 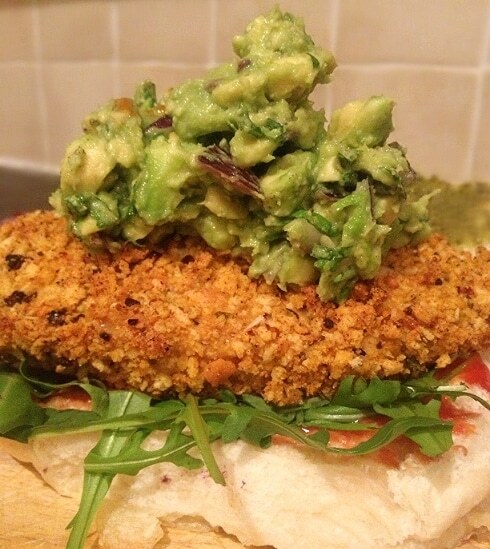 encrusted with piri piri breadcrumbs, accompanied by lashings of green pesto and a giant dollop of home made guacamole, all packed between a big cheese & onion bap. “But you can’t mix pesto and guacamole! Not Italian & Mexican!” Some may cry. 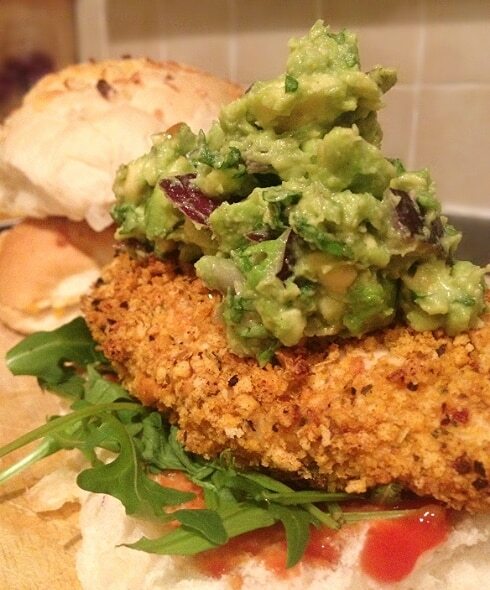 Let me tell you right now that salty, powerful pesto and cold, creamy guacamole are a burger match made in heaven. Give your burger some diversity! It’ll take about 25 minutes in the oven at 250 degrees. Whilst that was cooking I whipped up some guacamole. If you’re a ready-made guacamole buyer I urge you to convert to home made. It’s the easiest thing on the planet to do. Get a super ripe avocado and mash it up in a bowl. Add some finely diced onion, a bit of mashed garlic, pepper, a few chopped leaves of basil or coriander… and there you have it: express guacamole! Serve with whatever you like and don’t be afraid to get out the ketchup bottle: we aren’t fancy here. Oh my yes. Bring on Friday! Nonetheless it looks delicious though, a bit sad that I can’t try this piri piri crust thing! Ain’t no such thing as a schnitzel in the UK! We just put bread on stuff and call it breaded haha. 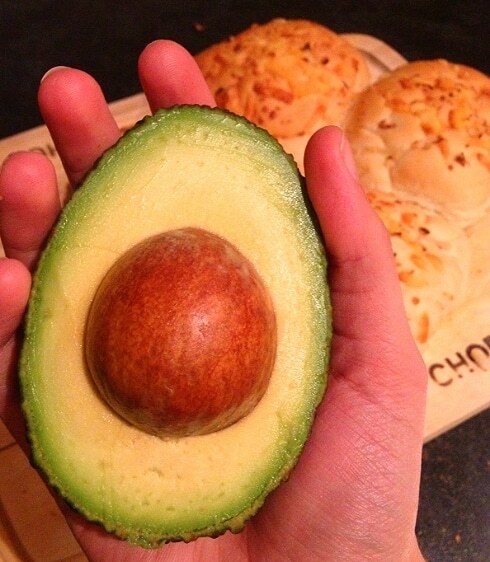 That look amazing, I don’t even like avocado but I really want to eat that!